The Accurate TWINSPIN reels are the only spinning reels in the world with our patented TwinDrag feature. The next generation of our ever popular BG spinning reel series just got leaner and meaner. BG MagSealed reels boast a technical magnetic oil developed by Daiwa Japan. 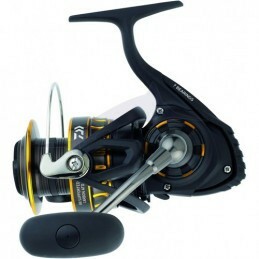 Certate is very smooth, tough and light-weight spinning reel, with long life and high reliability. With its new Air Rotor, the range of Exceler reels entered the current major holding to a value increasingly ambitious ! The new EXIST 2015 benefits from the latest Daiwa innovations in the service of fishing comfort ! The Freams has a new aluminum frame and Air Rotor. 3 Stainless steel ball bearings (2 of the gable 1 and on the handle). 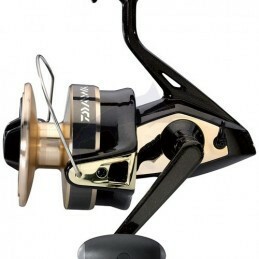 The SALTIST is a robust reel with a reworked body protected by Mag Sealed magnetized oil.